Prelien Notice and Notice of Furnishing and Notice to Owner, oh my! Which is Which? As if filing a lien wasn’t confusing enough, each state has its own requirements about what you need to do before you file the lien. Pennsylvania requires that subcontractors provide the owner with a prelien notice 30 days before they file a lien. New Jersey requires that on public projects a notice of furnishing be provided within the first 20 days of performing work or delivering materials. Florida requires notices to owners before the filing of a lien claim. Bond statutes require all sorts of things, some even require certain notices be provided to the contractor, bonding company and owner at the beginning of the project and at the end. Whatever they’re called – prelien notices, notice to owner, notice of furnishing, notice of intent to file a lien, and preliminary notice – they all have the same purpose: to warn the owner that a mechanics lien may be filed. We call them prelien notices because its a great catch all term. Some states use the term prelien notice, but not all. The term prelien notice refers to any notice to an owner, contractor, lender or other party that must be provided before filing a mechanics lien, construction lien, stop notice, or bond claim. It makes sense, because it is served before the lien is filed – pre-lien. The notice to owner term is used in states like Florida, where they call it NTO in shorthand. Florida is probably the one state in the county where preliens are sent out as a matter of course. 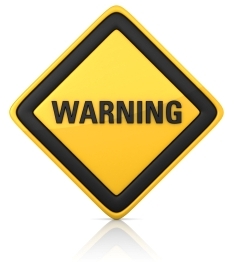 In most other states companies are concerned about sending out their notices for fear of alarming the customer. The Florida Notice to Owner has become part of the business routine, advice contractors in other states should heed. Where NTOs are used, they are sent out at the beginning of the project, and often again prior to the filing of a mechanics lien. This NTO routine gives the owner notice not only that a subcontractor or supplier is working on the property, but later acts as a warning signal that a lien is going to be filed. A notice of furnishing (often called a “notice of furnishing of labor or materials) serves one purpose: to inform the owner or contractor that a subcontractor, supplier, or sub-subcontractor is performing work on a project. Because the owner or contractor did not hire the person serving a notice of furnishing, they may not know that the subcontractor or sub-subcontractor is performing work on the project. The notice of furnishing requirement provides that notice in writing, and allows the owner and contractor to keep track of who may or may not be a construction lien or bond claimant. Perhaps in this section we could simply put “see prelien notice” for the explanation of a preliminary notice (also referred to as a preliminary notice before lien). Prelien notices and preliminary lien notices are the same creature, just different terms. They are both catch-all provisions in the world of mechanics liens, and the timing of the service of both the prelien notice and the preliminary notice depends exclusively on the state’s requirements. The notice of intent to file lien is exclusively used to provide a warning that a mechanics lien claim is going to be filed. The notice of intent should be served on the owner, and anyone up the contractual ladder prior to filing a construction lien claim. In the states that require the notice of intent to file lien, failure to attempt service of the document before filing a lien claim may result in the lien being discharged. EXPIRED! What?! My Lien Comes with an expiration date? You Betcha.